The FLIR Black Hornet PRS equips the non-specialist dismounted soldier with immediate covert situational awareness (SA). Game-changing EO and IR technology bridges the gap between aerial and ground-based sensors, with the same SA as a larger UAV and threat location capabilities of UGVs. 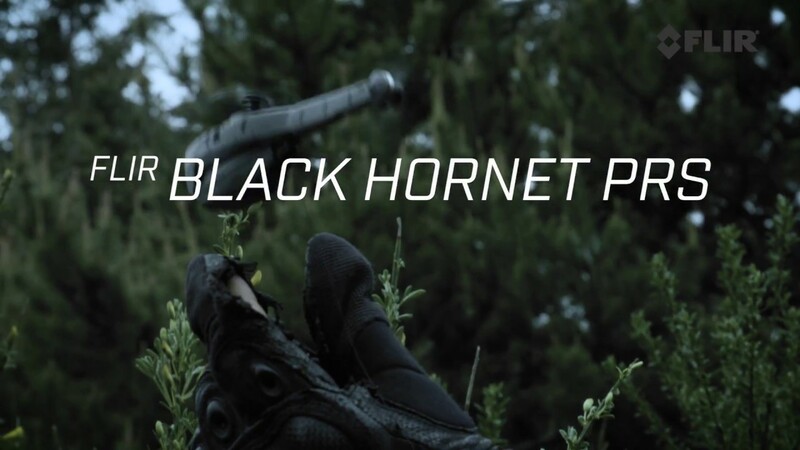 Extremely light, nearly silent, and with a flight time up to 25 minutes, the combat-proven, pocket-sized Black Hornet PRS transmits live video and HD still images back to the operator. Save lives and minimize collateral damage. Detect and identify threats day and night without being detected. Increase speed and expand maneuver options. Extraordinarily low visual and audible signatures and a light, small profile allow covert operation and increased security for dismounted soldiers. Expand visual range in complex and urban environments. Rapidly engage targets beyond visual line-of-sight, and conduct real-time weapon effectiveness assessment. Want more information on this product? Call +44 (0) 1732 220 011 to speak with a knowledgeable specialist.